The Sydney Cove Oyster Bar is a case in point of perception often blurring reality from a restaurant perspective. 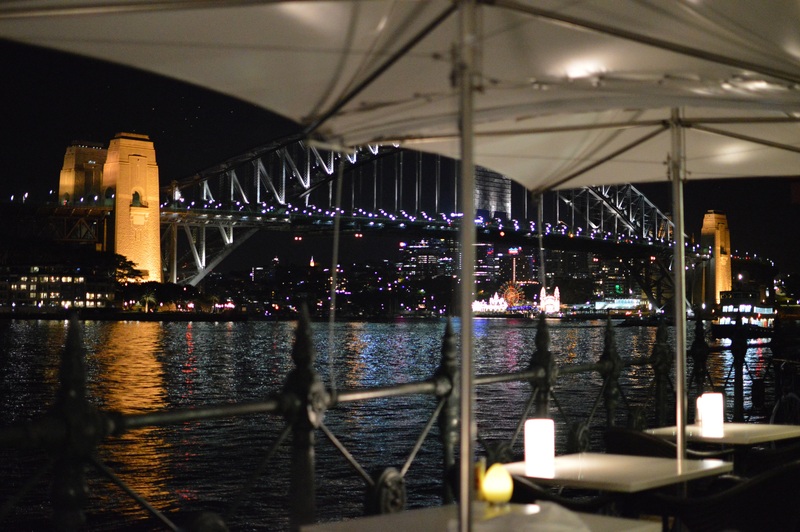 With prime position in Circular Quay East, uninterrupted views of the Sydney Harbour Bridge, and only a stones throw from both the Opera House and the Botanical Gardens, it is all too easy to assume that the restaurant might be a potential tourist trap. 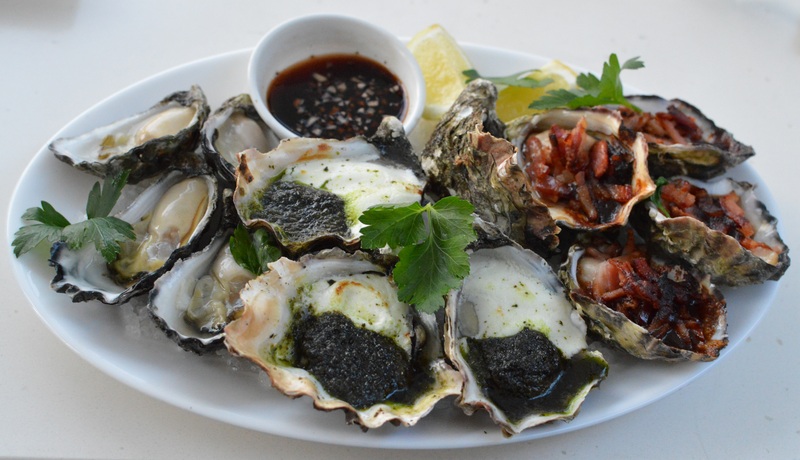 However, two polished experiences identify the Oyster Bar as a very credible and flexible dining option for locals, whom may want for a more casual experience than Quay, Aria or Guillaume at Bennelong in the dress circle of Sydney dining. Starting with a dozen (natural, kilpatrick and chevre) of freshly shucked Sydney Rock Oysters ($36) as the twilight descends upon Sydney Cove, the recommended Pinchgut Black Pilzner craft beer is an inspired and harmonious match, with the aromas of the Hawkesbury wafting out of the glass. Another touch of indulgence is farmed persé Spanish sturgeon caviar ($17/2.5g), served with crème fraiche and bilinis, equally hitting the mark. Then to a chilled and quite refreshing Andalusian gazpacho ($23), that is quite feisty without overwhelming the sweetness of the blue swimmer crab, or the silkiness of the avocado mousse. Less risky, but well thought out, is the surf and turf dish. 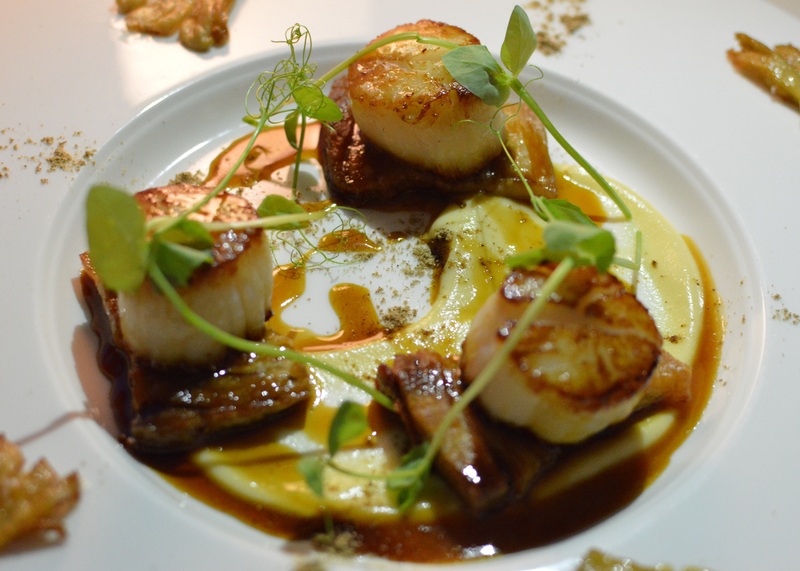 Impressing with absolute textbook seared scallops and pork belly ($28), on a smeared cauliflower puree, cracking oyster mushrooms, and a very seductive Madeira jus. With live tank storage offsite, the fleshy Kangaroo Island Marron ($65) is a viable option for those who may not want to commit bigger dollars to the lobster, and the generous portion shares perfectly between two. The chilli and tamarind sauce has an unapologetic residual heat note that adds an Asian twist, whilst not overpowering the primary ingredient. This dish demonstrates a core understanding of balance by underrated Head Chef Rhys Ward. 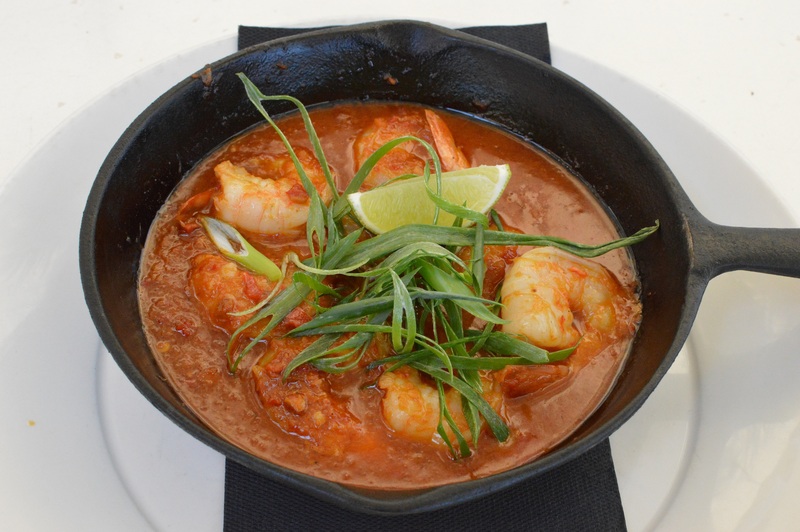 Similarly, the chilli and tamarind tiger prawns ($24) pack a decent punch, with spring onion and fresh lime providing some contrast and acidity. This provides a perfect opportunity to mop up the lively and moreish sauce with the remaining bread. The Tiger prawn chilli linguini ($36) is a tad milder and in need of more seasoning, although punchy cherry tomatoes, confit garlic, and basil, carry enough background flavour to present as a solid dish. 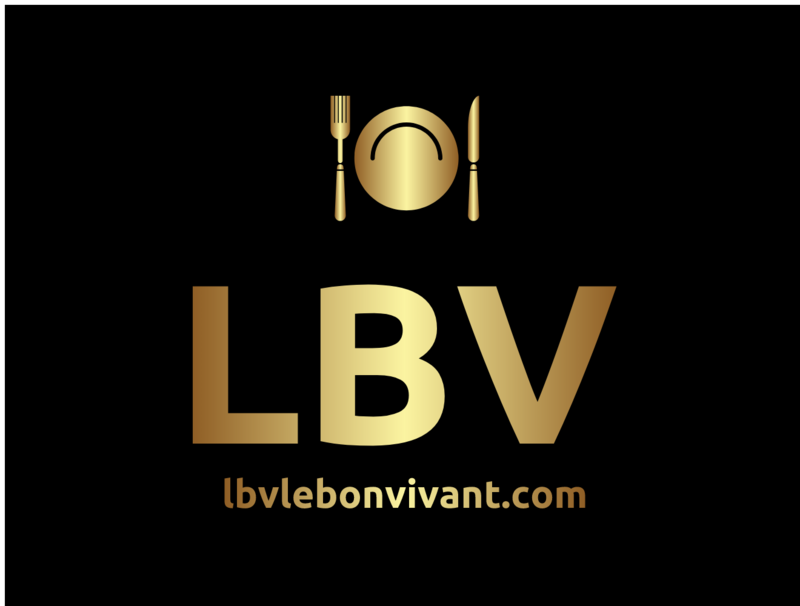 Not withstanding, credit must go to a Chef who is prepared to stimulate the palate with a bold use of spicing throughout his menu. 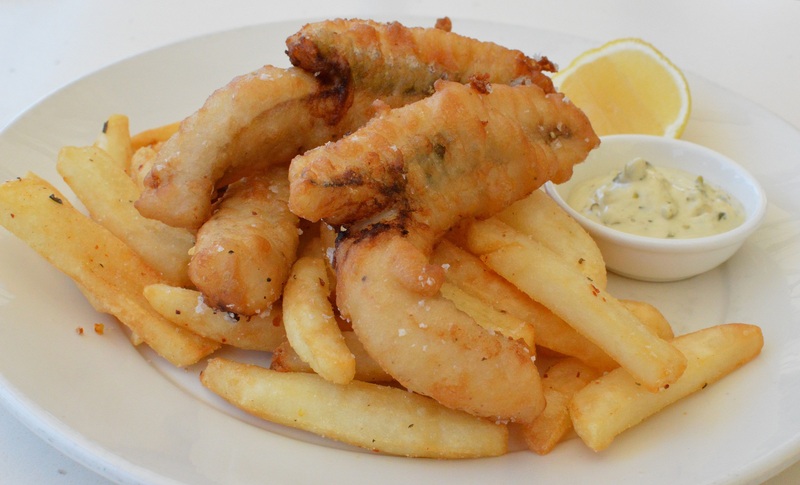 Correctly seasoned to the edge, the beer battered flathead fillets ($34) are as much an Australian waterside classic, as they are a tourist dish. However, within “cooee” of the iconic Harbour Bridge, the context does not seem as contrived. The chilli chips are a nice twist, and the house made tartare is without that horrid sweetness that plagues the commercial variety. Lovely pan- fried Hiramasa Kingfish ($38), sitting on a bed of jasmine rice with a quintessential fragrant red curry, is quite subtle in both flavour and texture. The (S.A) yellow fin tuna ($40) is seared perfectly, preserving the interior texture, which works a treat with the nicoise style salad, exceptional white anchovies, and lemon and dill mayo. The roasted Cone Bay barramundi ($38) is the equal of the most exceptional seafood dishes I have had in the last year on the both occasions I visited. 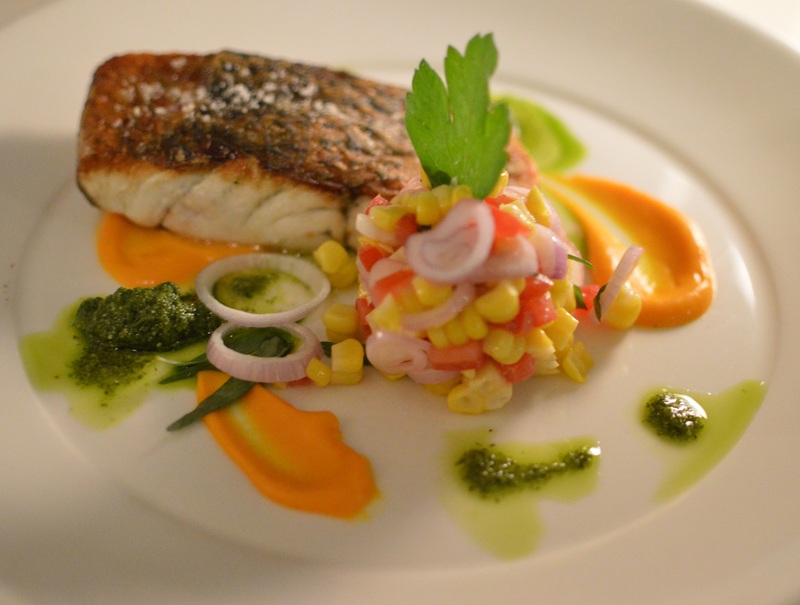 Not only is the execution flawless, but the velvety carrot puree, sweet corn, eschalots, tarragon salad, and brilliant rocket pesto, balances it perfectly. The dish looks incredibly vibrant, but most importantly delivers on its promise, with peerless crispy skin and moist flesh. Clearly, there is technical proficiency and precision in the kitchen with seafood, that fits the profile of this restaurant like a glove. Sous Chef Ryan Luck obviously benefited from his time at Pier, bringing that lightness of touch into play here. Desserts in an outdoor environment can be tricky, depending on the ambient temperature, as both the concept and elements can dissipate quickly after being served. 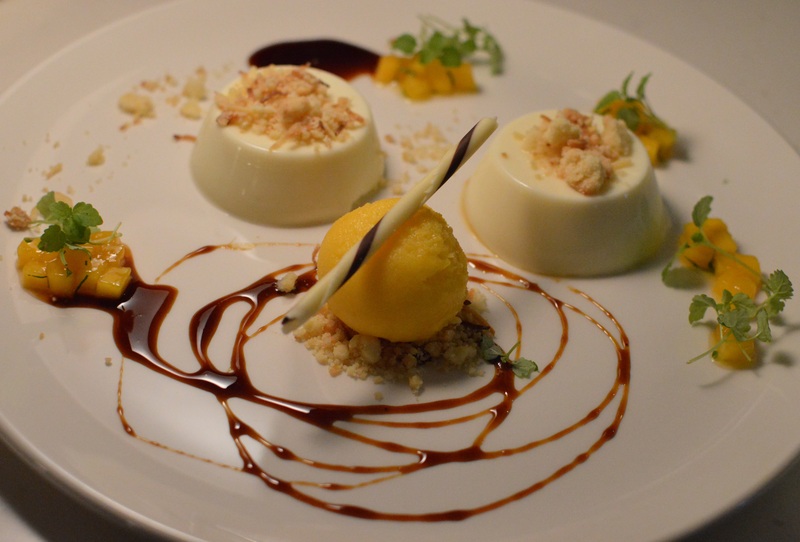 The well-conceived coconut panna cotta ($15), with mango sorbet, palm sugar caramel, and mango and coriander salsa, accordingly fares better in the evening. Perhaps chilled plates might be a possible option, depending on the components. The warm chocolate macadamia tartlet ($15), perhaps better placed on the winter menu, is nonetheless without fault, as is the refreshing and decadent white chocolate mousse ($15), with a sharp raspberry sorbet cutting across that richness, and chocolate shortbread for texture. The affogato ($15), with vanilla bean ice cream and espresso, is offered with a choice of Amaretto or Frangelico, and the conventional extractions of Vittoria are sound if you prefer that option. 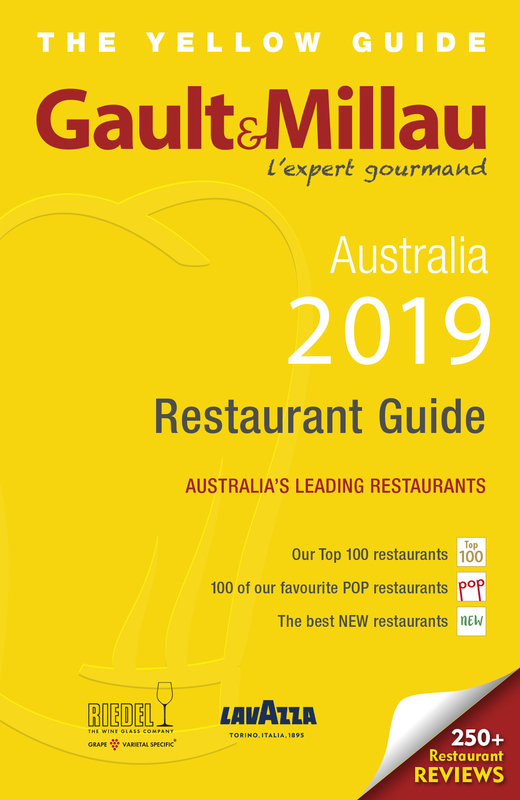 The large front of house team are clearly proud of the food they are presenting, and the wine list overseen by Barney Fallows is very reasonably priced, using the back vintage entry-level 1999 Domaine Leroy Bourgogne Rouge ($71) as one example, and the 1995 Château d’Yquem ($380) an absolute steal at the more premium end of the spectrum. To be honest, the Sydney Cove Oyster Bar, celebrating its twenty-fifth year, caught me totally off guard despite its successful longevity. With two young chefs heading up a talented brigade determined to establish local credibility, the quality of the Oyster Bar’s dishes are clearly worthy of its location that would be the envy of most restaurants.